An Afghan holds her sick daughter before Dr. Zubeida, a midwife from the mobile health unit funded by UNFPA , as she inquires about her daughter's condition as Zubeida offers pre-natal and anti-natal care, and are given counseling by in Charmas Village, a remote area of Badakshan, Afghanistan, August 9, 2009. 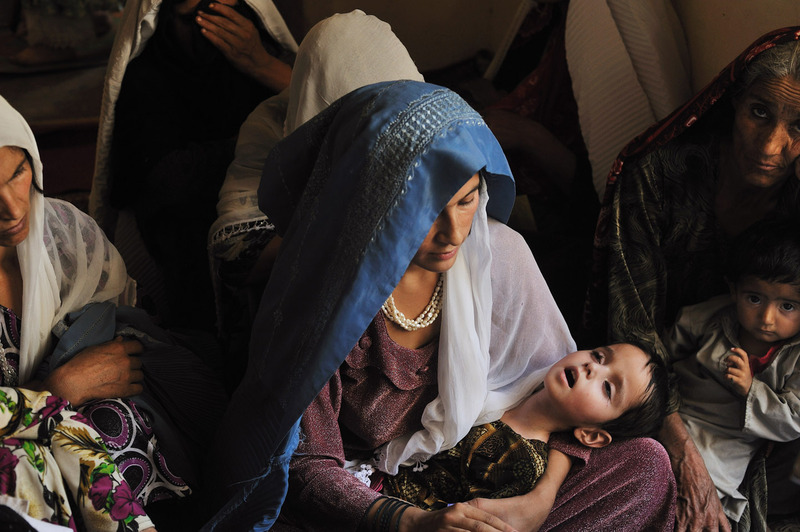 Afghanistan, a country with little infrastructure, few clinics or hospitals, and dismal roads leading to many villages, has one of the highest rates of maternal mortality in the world. Restricted access, coupled with a culture that keeps women at home, and subsequently often out of hospitals, leads to a staggering number of maternal deaths per year.